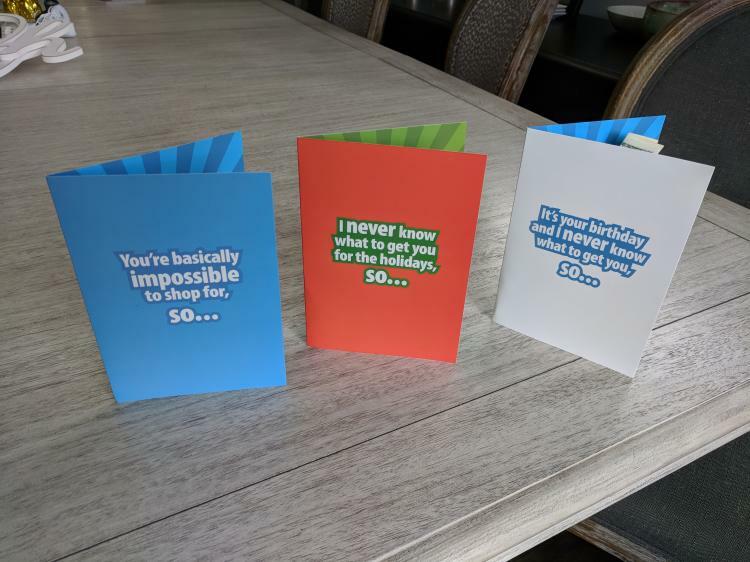 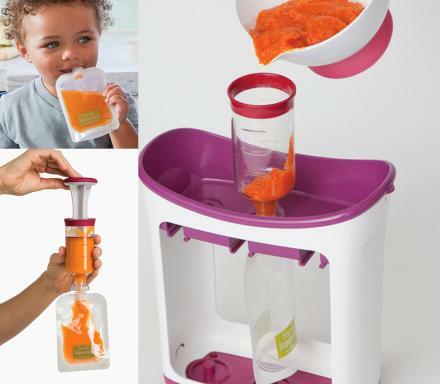 When it comes to birthday cards, some people like to get all lovey-dovey and write something sentimental to their loved ones about how they've grown into such a wonderful person, whereas others just want to give you cash but need a vessel to deliver it in. 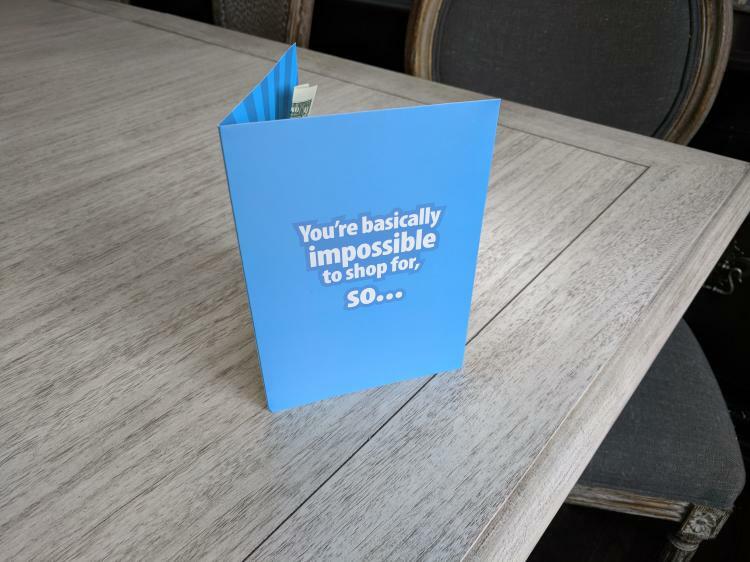 This card is for the latter type of person. 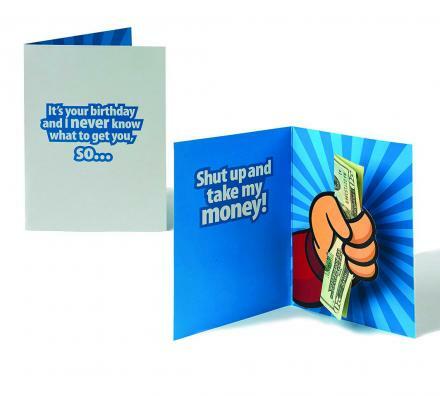 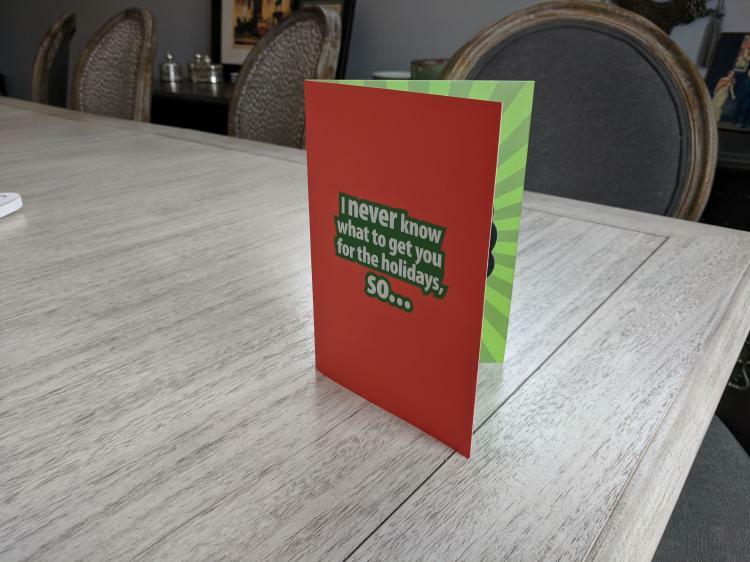 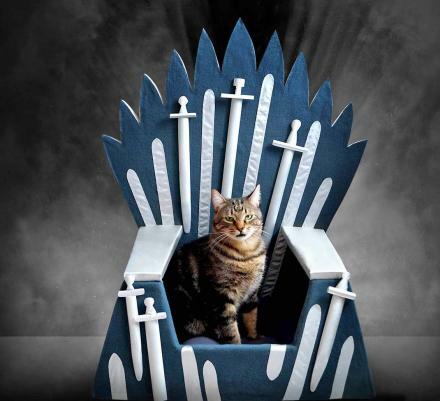 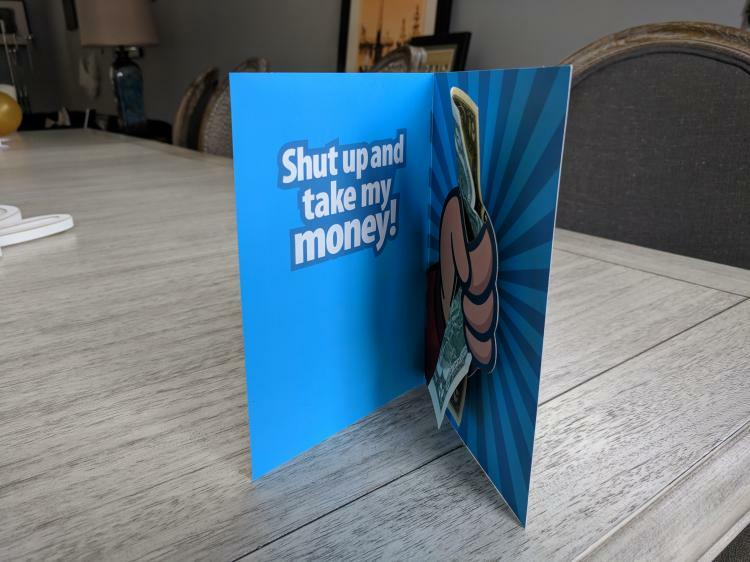 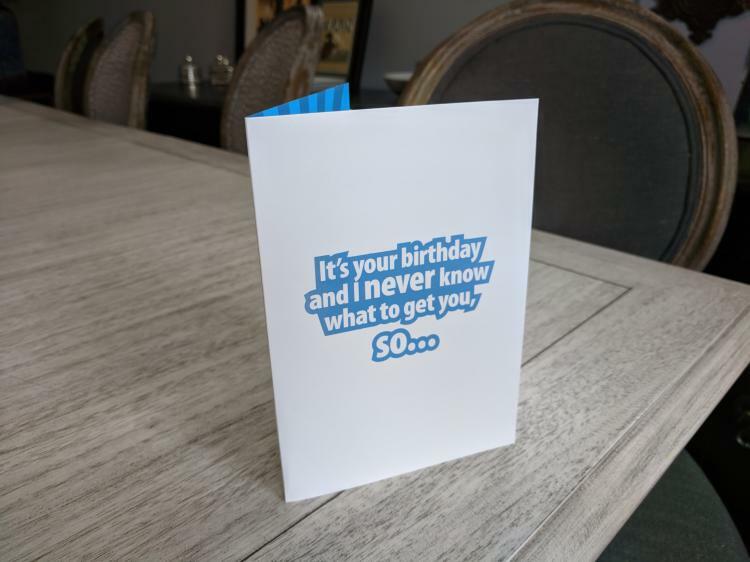 This funny birthday card gets straight to the point, and screans "Shut up and take my money!" 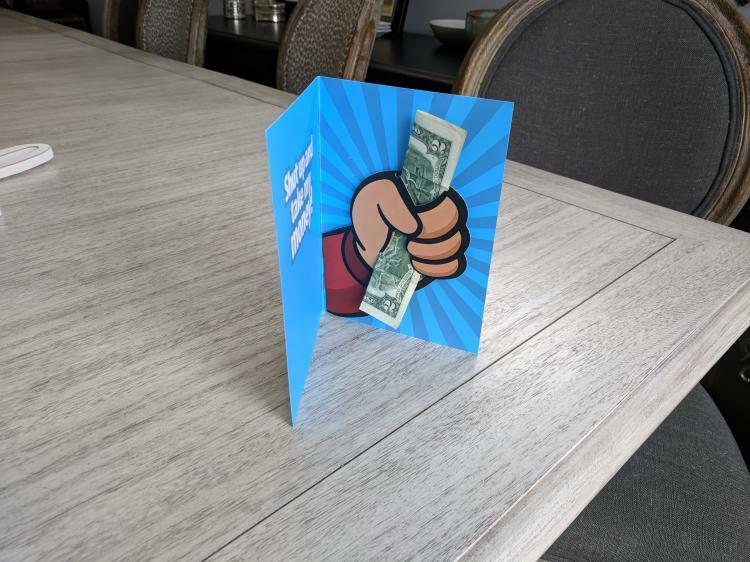 while a 3D hand protrudes out from the card to hand you cash. 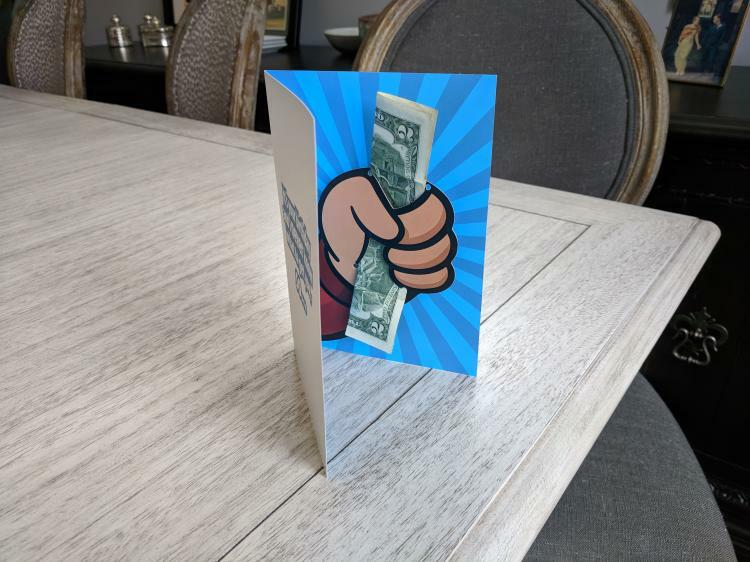 Just fold your cash in half length-wise, then stick your money right into the fist on the inside of the card, and when someone opens it up, they'll be met with a hand full of cash waiting for them. 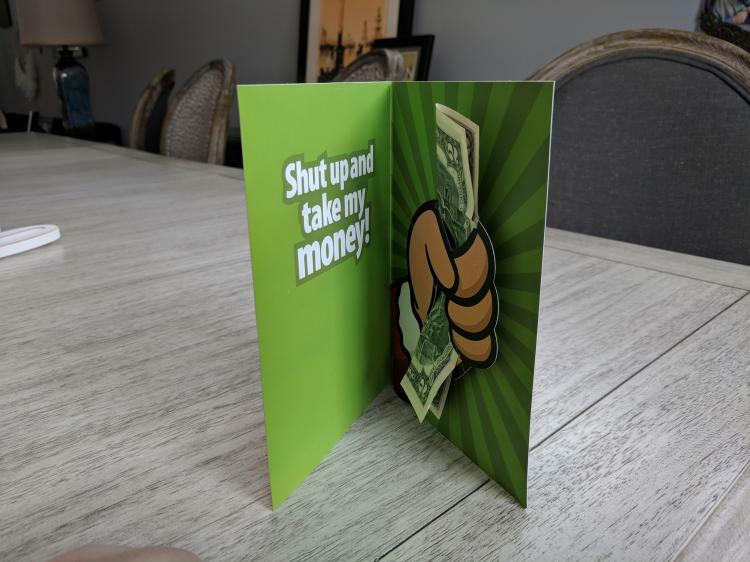 The pop-up Shut up and take my money birthday card comes with a few different sayings on the front of the card that lead up to the saying on the inside, including "It's your birthday and I never know what to get you, so...", and "You're basically impossible to shop for, so...". 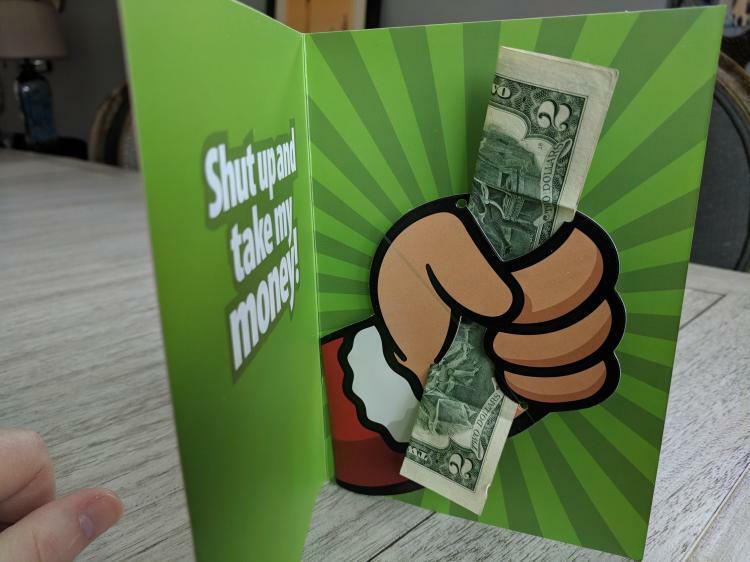 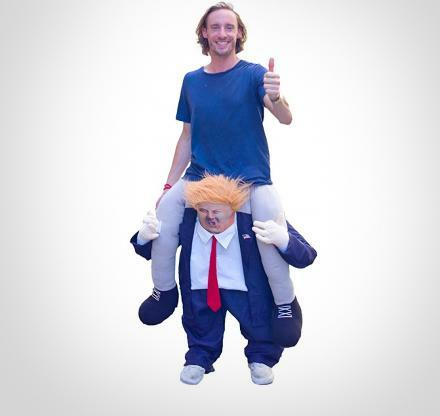 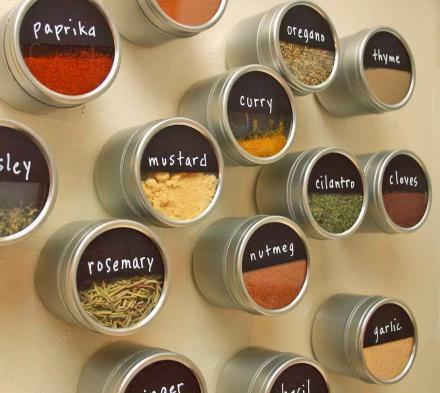 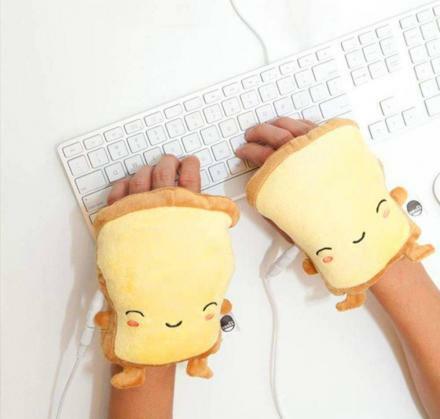 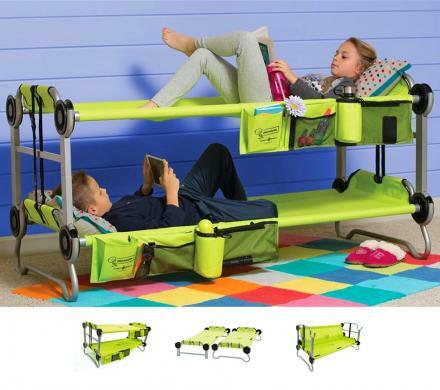 There'es also a holiday version of the Take My Money card that reads, "I never know what to get you for the holidays, so...". 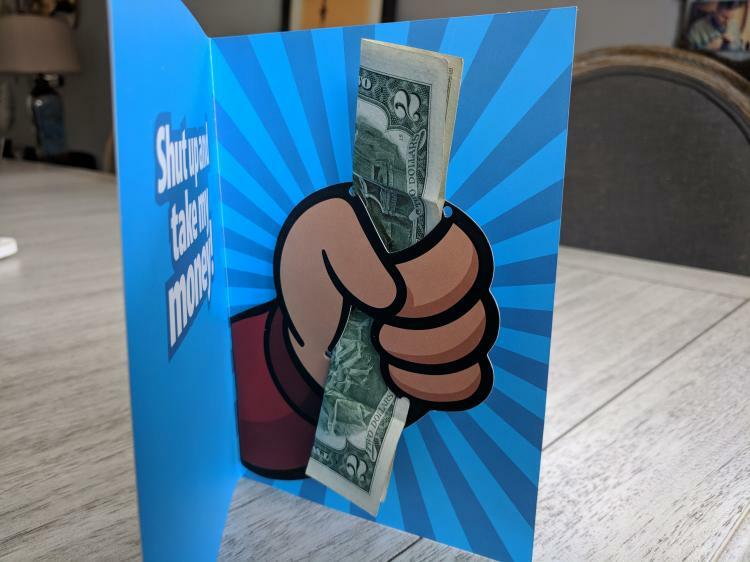 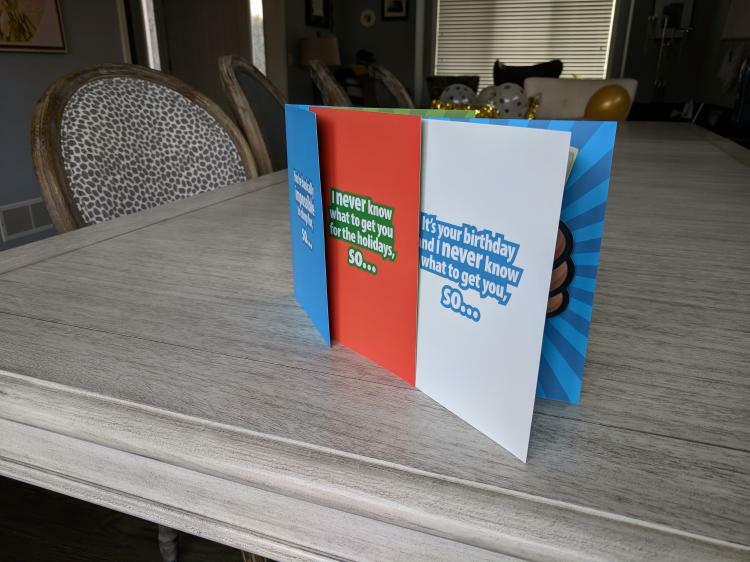 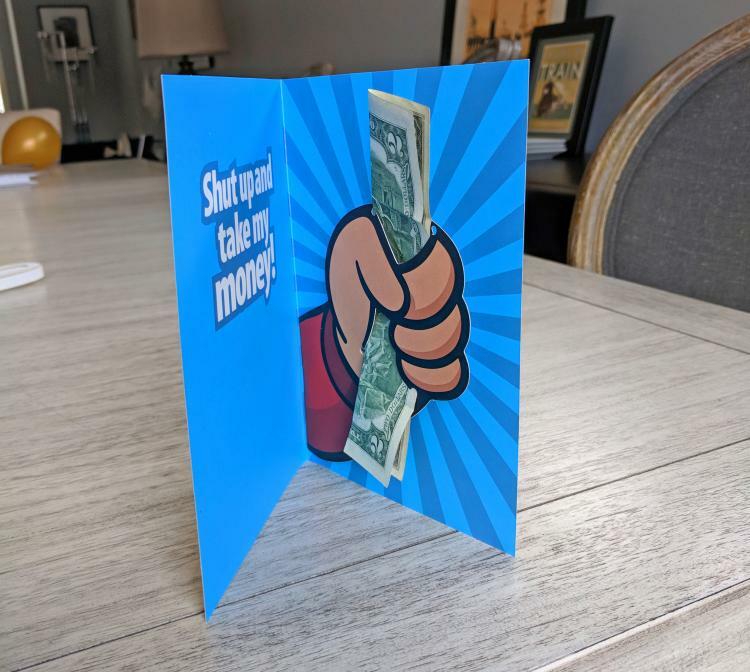 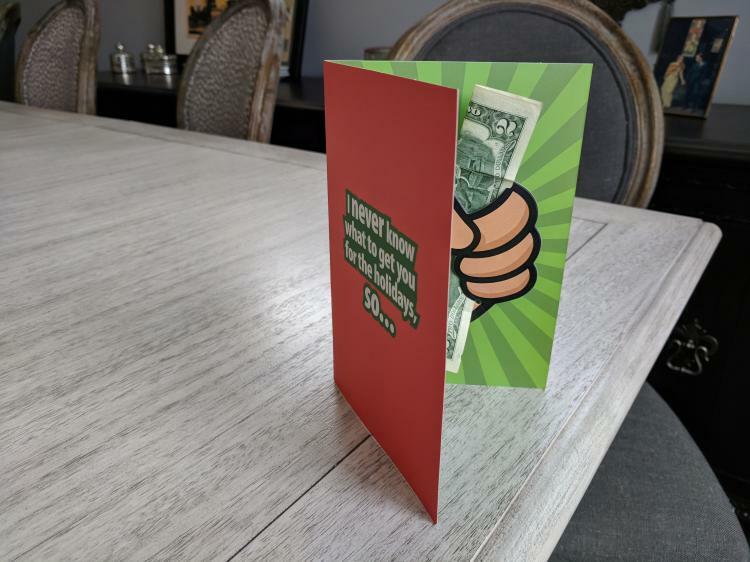 The Take My Money birthday card is perfect for Christmas, Birthdays, Graduations, Anniversaries, Valentines Day, Bar Mitzvahs, Weddings, Baby Showers, Retirements, and more. 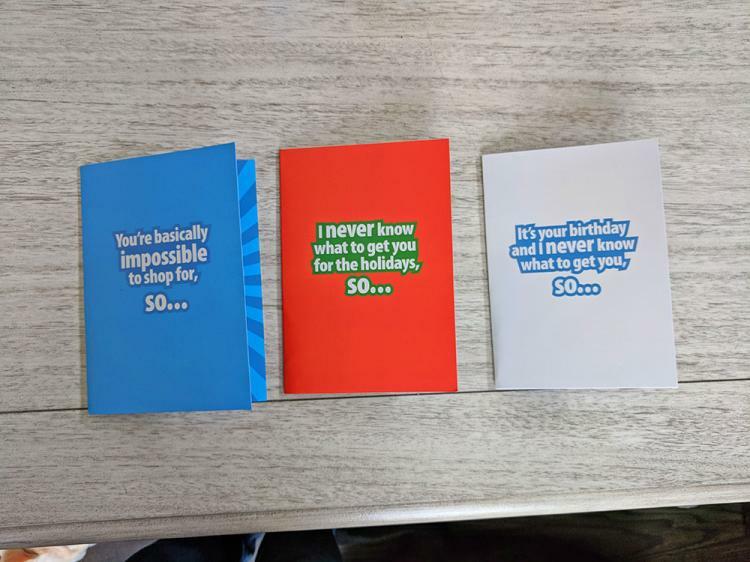 Plus, each purchase comes with a pack of 3 cards.